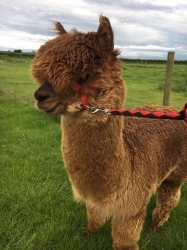 Adopting one of our beautiful alpacas is the perfect gift and experience. 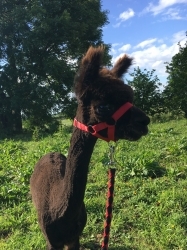 All of our alpacas have names and unique personalities, which we would love to share with you! Adoption packages will be delivered by Royal Mail. If your package is a gift please contact us with their details. 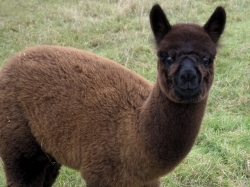 Our adoption packs are £30.00 and all of the money will be spent on the care and up-keeping of your adopted alpaca. Adoption lasts 12 months with no renewal. Please email to request renewal. Adoption does not imply ownership. 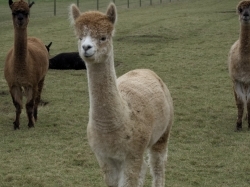 In the event of your adopted alpaca being sold, we will offer you a replacement. Your application will be processed as soon as possible after payment, and will be delivered by Royal Mail. We have the right to refuse any applications that may have suspected interests to harm our farm. Postage will be added at the checkout, for shipping to the EU or ROW please contact us.